Whether you are a web designer, graphic designer, or doing web development as a freelancer or small / home business, you need an easy to create beautiful and professional proposals and invoices. 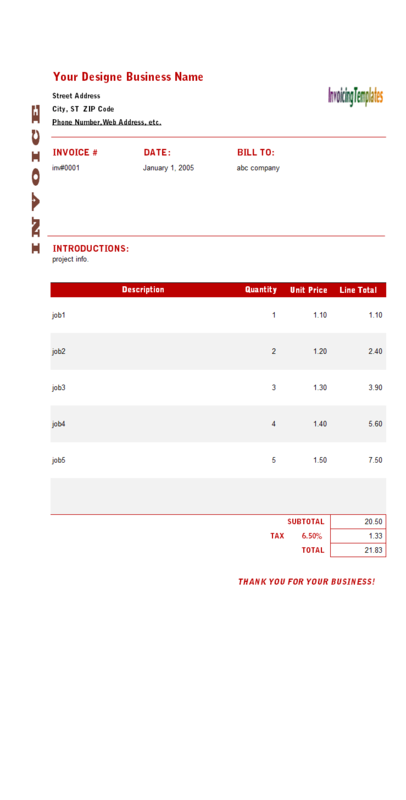 Designer Invoice Template (Red) is might be your choice. 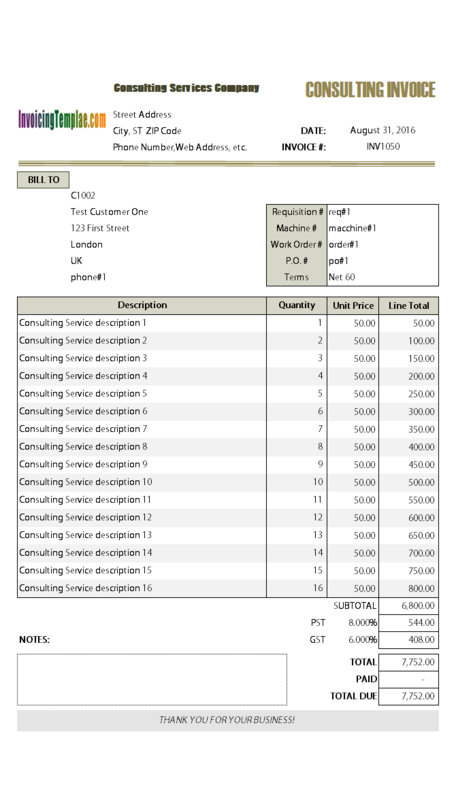 c4028 now includes the customized invoice template for the latest version of Invoice Manager for Excel. This is what you will see when you open designer-red.xlsx. 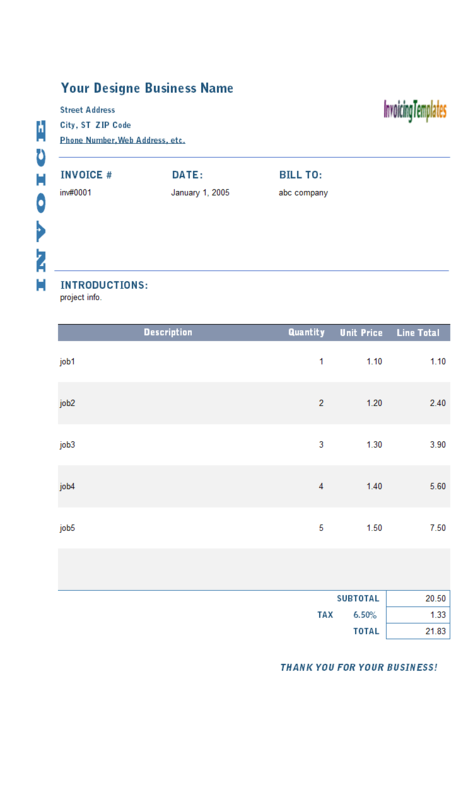 Compared to the default invoice template shipped with Invoice Manager for Excel (namely Uniform Invoice Software) installer program, or compared to the basic consulting invoice template that Designer Invoice Template (Red) is based on, this design proposal and invoice template, which is named Designer Invoice Template (Red), has seen a major visual redesign. 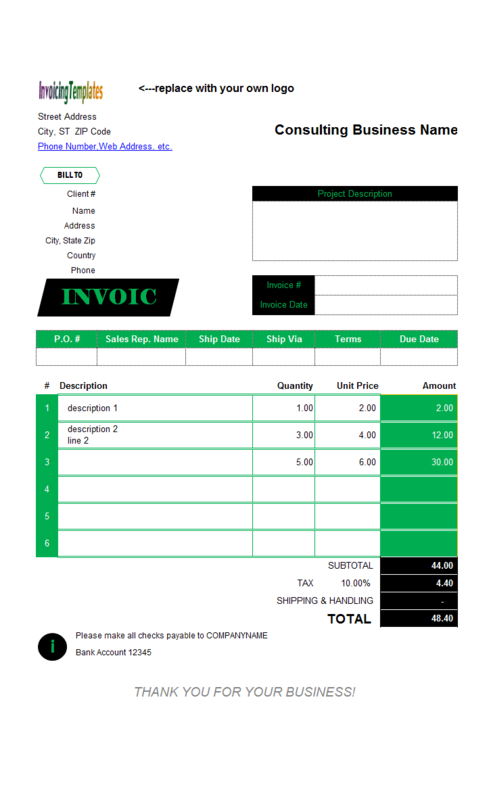 However it still targets to being printable on standard A4 paper, just like the default invoice template shipped with Invoice Manager for Excel (namely Uniform Invoice Software). 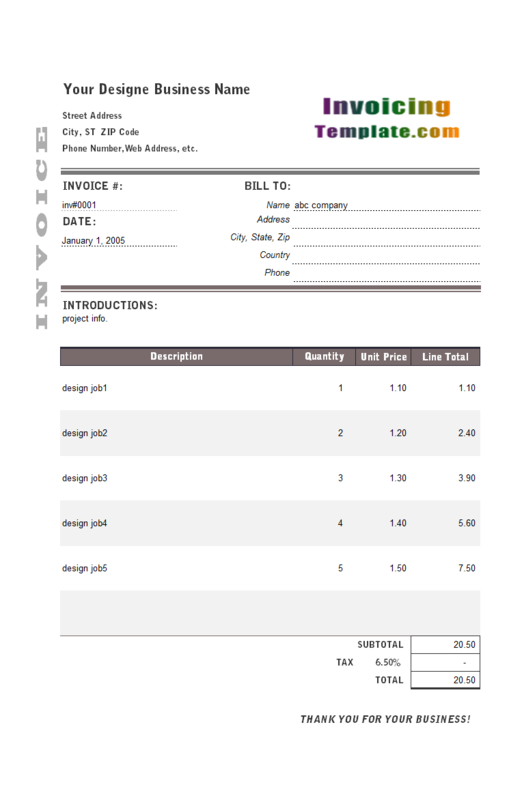 And like all the other proposal and invoicing templates here on InvoicingTemplate.com, besides the freeware edition, there is also an Invoice Manager for Excel (namely Uniform Invoice Software) edition, which means you can not only create proposals and invoices easily with the intuitive what-you-see-is-what-you-get billing form, it could also be a complete invoicing program / system with the ability to manage and track your clients, items, invoices and payments. 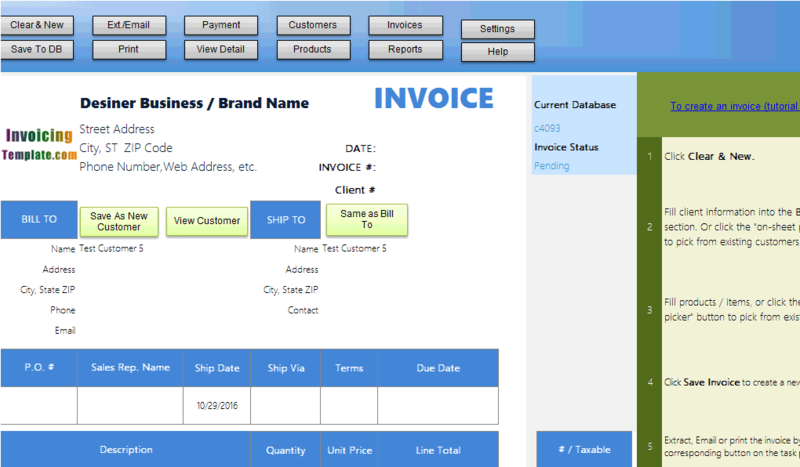 Be sure to download our invoicing program for free and have a test, which is fully functional within the trial period. 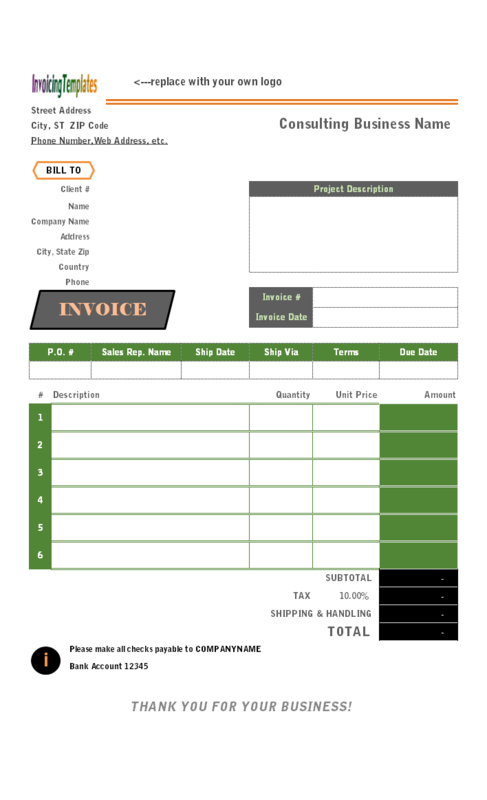 Whether you use this template as a web design invoice template or graphic design invoice template, Invoice Manager for Excel (namely Uniform Invoice Software) could make a simple template become a fully featured billing system. 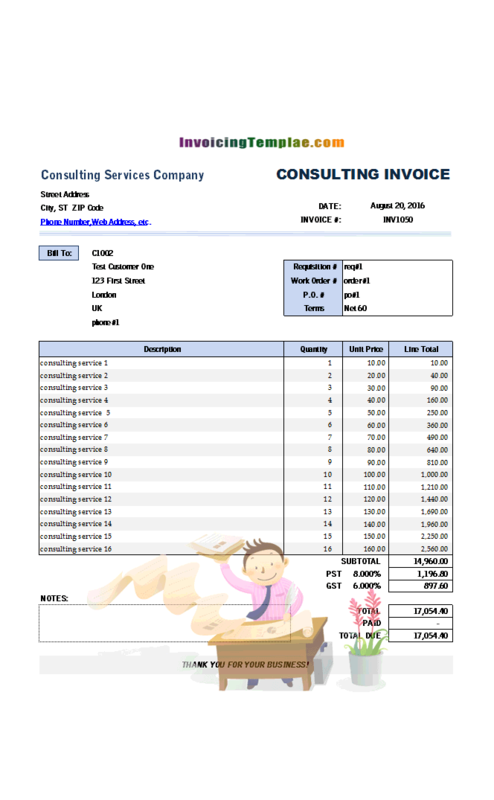 One of the major problems with invoicing is that many of the tools available make it difficult for a company to customize the invoice. There may be a set range of templates available, but these don't always work for everyone. 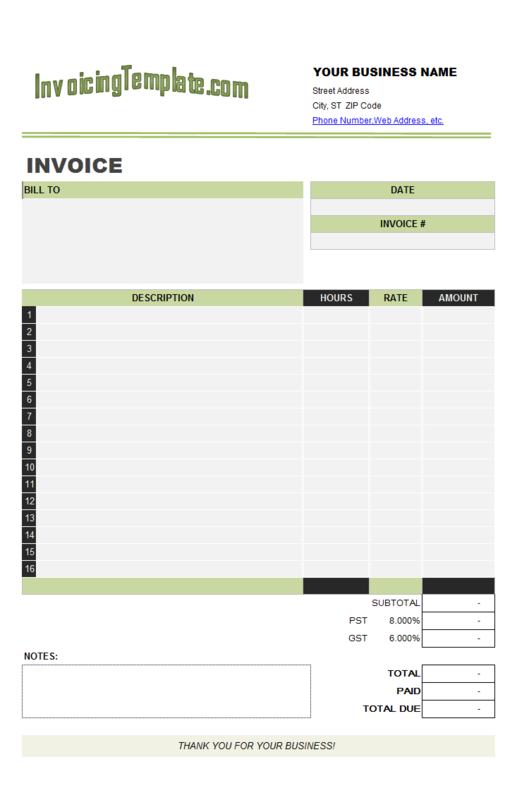 Fortunately, an invoice template in Excel spreadsheet does not have these issues because it offers excellent customization for invoice template design (quotes, too), so you have the functionality to get creative with your invoice. Why not take some inspiration from some of the beautiful designs? 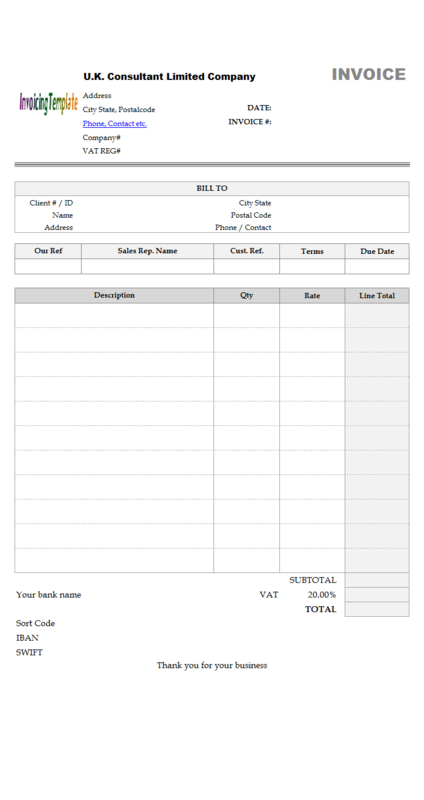 You can simply download our templates from here on InvoicingTemplate.com, use them as the starting points of your own design for invoices / proposals / quotes. 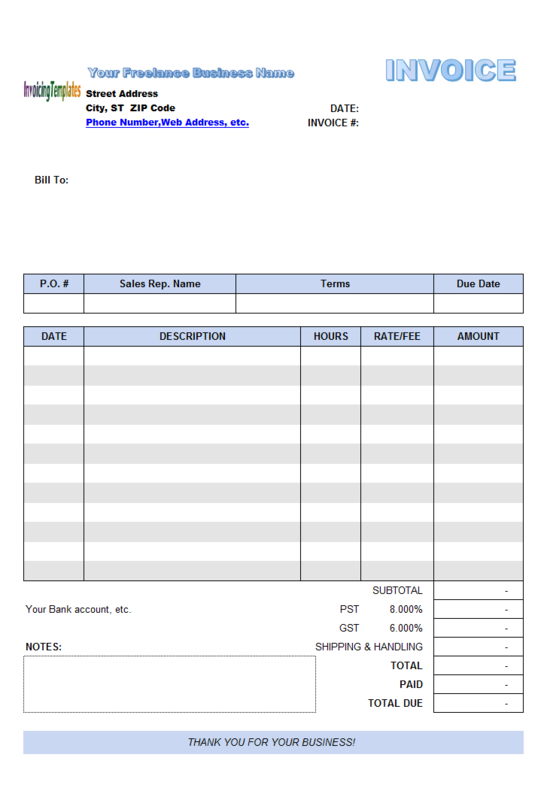 To make some sample of customizations, we provide c4029 Designer Invoice Template / Designer Billing Form (Blue) and c4030 Designer Invoice Template / Designer Billing Form (Gray). The customized versions, c4029 and c4030, have the exactly same form layout and database fields as Designer Invoice Template (Red) - the only thing changed is the color schema. 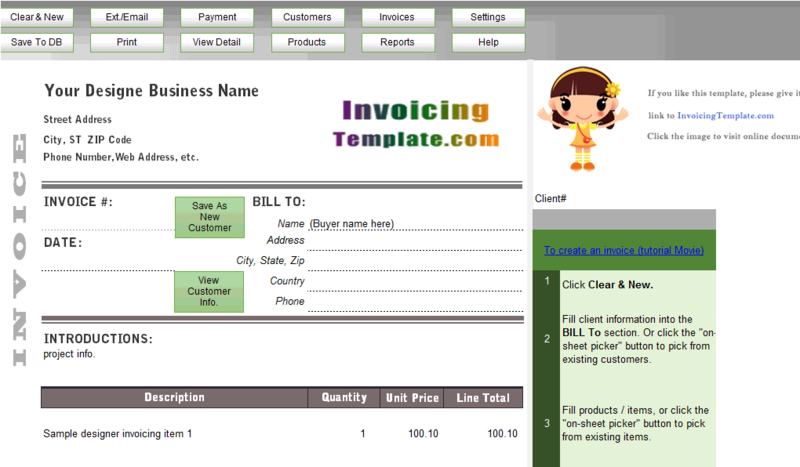 Here on InvoicingTemplate.com we provide nothing else but only free invoice templates in Microsoft Excel, although a PDF fillable invoice and proposal template is also provided along with each Excel spreadsheet template. 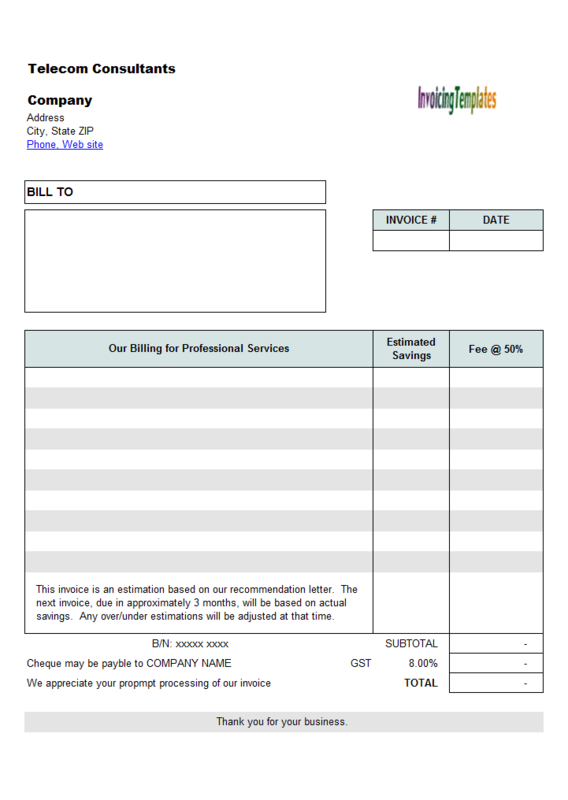 Use our business invoices to bill your clients, which give your small business a polished and professional look. Easily customize this template and the others by using built-in Excel colors and themes, adding your own logo and business information. We all know that invoices and proposals are business documents. Just because the invoice and proposal are business documents, doesn't mean it has to be boring. 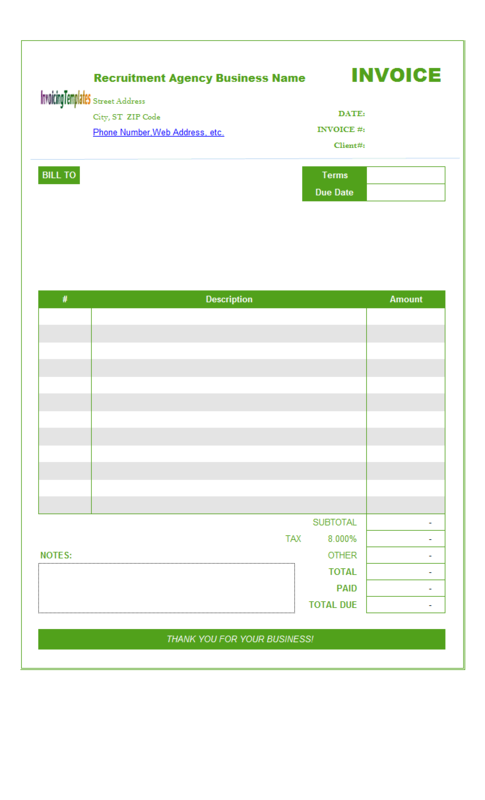 An invoice is usually your last contact with a client, so why not leave them with a lasting impression? 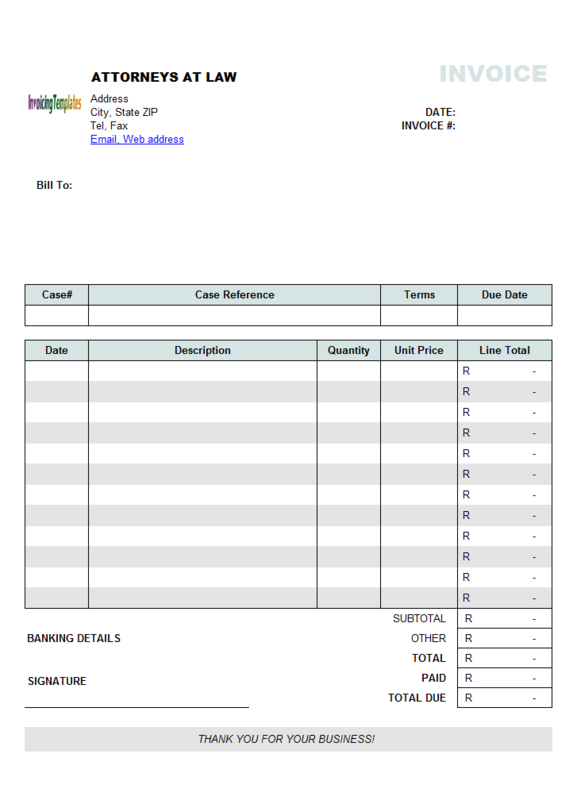 Done properly, your invoice can be an effective part of your marketing strategy. Why can't your invoices and proposals reflect your branding and express your thanks to the customer for their business? 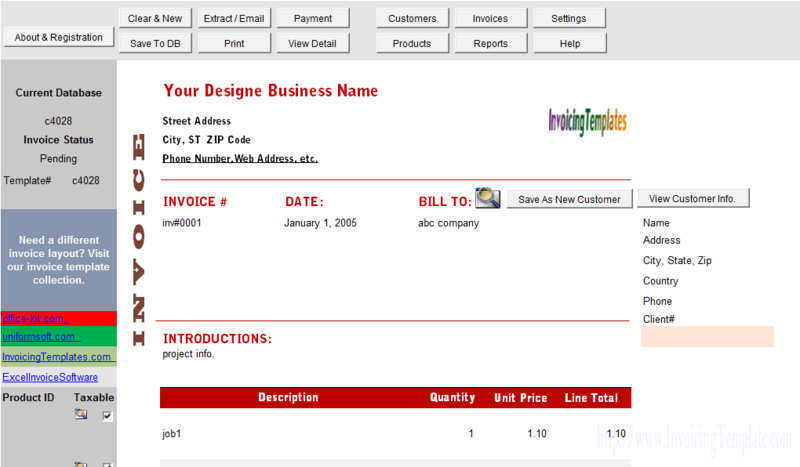 Like other form designs here on InvoicingTemplate.com, Designer Billing Form (Red) is free (offered to you at a price of 0.00USD). It works on Windows XP and all newer versions of Windows, and Excel 2007, 2010, 2013 or 2016.